The power of films to inspire, ignite and instill ideas and ideals has always been a very fascinating yet intriguing phenomenon that the world always loved and still loves to observe. It’s the same reason that almost over 80% of the people like to keep a checklist of must watch films. Depending upon the interests of the people the checklists can vary but still they always make sure to add only the best movies that anyone could possibly think of. Fitness freaks would always love films like generation iron and car fanatics would always top it with the fast and the furious series. But the most interesting checklist of all would definitely belong to an engineering student just because he looks for ideas however far-fetched they may seem at first. But whatever happens one thing’s clear. They’ll always have technical movies at the top of their list. And any list like this is never complete without the 1995 Hollywood blockbuster Apollo 13 which is actually based on a true story describing man’s hunger to conquer the vastness of space. Apollo 13 is a 1995 American docudrama directed by Ron Howard. It dramatizes the aborted 1970 lunar mission Apollo 13 which was adopted from the book:” Lost Moon: The Perilous Voyage of Apollo 13” written by the original mission commander Jim Lovell. The film depicts astronauts Jim Lovell, Fred Haise and Jack Swigert on America’s 3rd lunar landing mission on the Apollo 13.Jack Swigert was the replacement member for the original mission crew member Ken Mattingly who was later replaced as he was susceptible to measles unlike the rest of the crew. En route to the moon a rupture in one of the oxygen tank deprives the spacecraft of the power and guidance for landing on the moon and forces the crew to abort the mission. The mission then takes a turn for the worse and becomes a race against the clock to bring the astronauts down safely back to earth. Unlike most of the sci-fi movies that cook up stories on space adventures into the never ending galaxies and the vast expanses of space using high tech graphics, Apollo 13 does not boast any. Each and every thing down to the spacecraft and NASA mission control were made by hand at the Universal Studios. 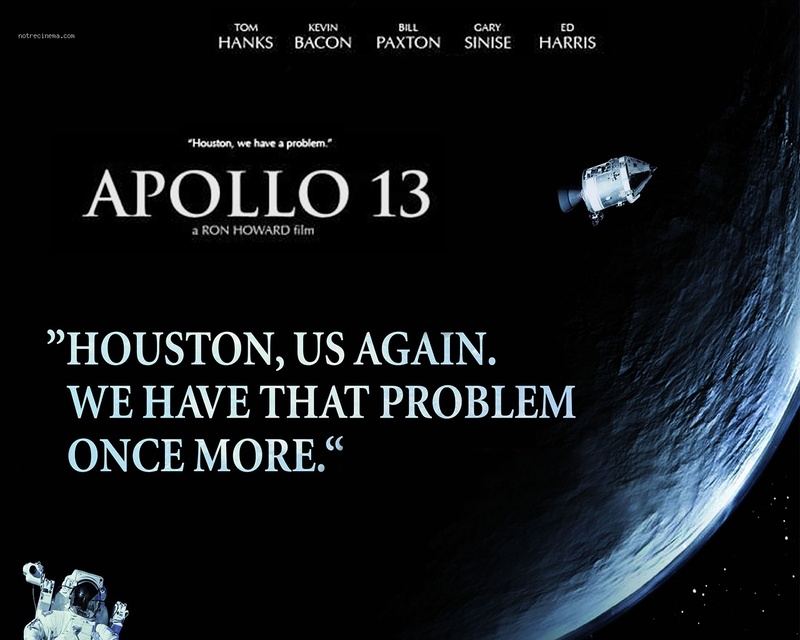 Apollo 13 hugely depicts the engineers and pilots as heroes in the face of grave overwhelming odds. 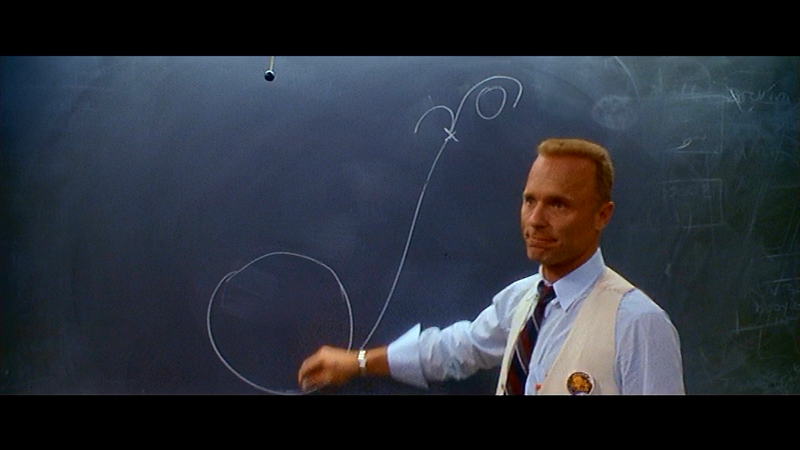 All throughout the film the Apollo 13 crew come about situations where they are forced to make decisions that would very well mean life or death. The ability of engineers to bend themselves according to the needs of the situation are shown repeatedly especially when they try to fit a square CO2 scrubber inside a cylindrical case for use inside the spacecraft. Every second of the movie shows you the “Never out of the game” mindset that has enabled man to reach heights that previously were considered impossible. The film also teaches us the lesson that “everything happens for the good”. The film reaches the end in a climax where Ken Mattingly replicates the exact conditions of Apollo 13 in the simulator and creates a reentry procedure for Apollo 13. The film ends where the Apollo 13 LEM or lunar ejection module lands in the south pacific on April 14 1970. The last part describes the life events that transpired in the subsequent years for the men behind the Apollo 13 missions. For many the Apollo 13 isn’t so high tech a film. But it really shows that we don’t need graphics for a high end movie. Apollo 13 is certainly a run for your money whether in 1995 or in 2016. Very few films depict engineers as heroes, even fewer are taken from the lives on living breathing individuals and even fewer with a brilliant all-star cast so if you haven’t seen Apollo 13 then “Houston we have a problem”.